Breaking news! Maisie Williams accidentally spilled the beans on the Jimmy Fallon Show. The interview starts out with the basics: Jimmy asks Maisie what events in the have defined Arya, and Maisie starts with, “Number one would be Ned’s beheading”. Cue nervous laughter from the audience. Honestly at this point it was all pretty standard, and I was getting relaxed in my seat. Get to the good stuff! Maisie keeps going, talking about how in Season 5, Arya got rid of her original costume and how in “last season she reunited with Sansa”. That last part is straight out of Maisie’s mouth, and it’s about as exciting as watching paint dry. No offence to Maisie , but all this stuff is standard at this point. It’s been said before and said again at least a thousand times by now. Then the bomb shell drops. About a minute and thirty seconds into the video, after Maisie gets done with talking about how HBO wants the cast to keep a tight lip on everything, Jimmy asks for “just a crumb”. “Just a crumb, m’lady,” Jimmy goes. Maisie pauses, and gasps. You can hear a pin drop in the room. There are gasps in the room. Maisie holds a hand over her mouth. She’s shaking, asking if this is live, if they can edit it out. Jimmy does his best to comfort her but she’s near tears. Her smiles are fake, her eyes are as wide as a deer in the headlights. At this point, I wanted to un-hear what I just said. Maisie was tugging at my heart strings. It was uncomfortable and I felt bad for her, bad I could still hear. Jimmy tries to start over with an applause, but as soon as it stops Maisie can’t take it and runs off stage. And Jimmy sits there, distraught. What he just heard, what he just saw, it was, it was….too much. And you think we’re bad. 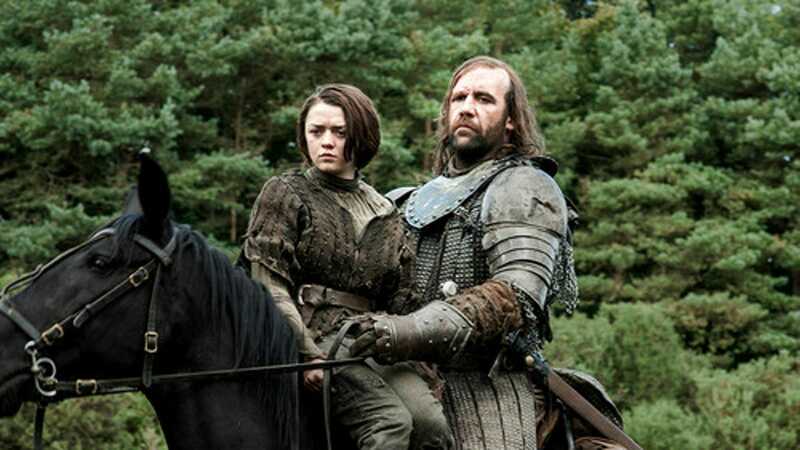 Seriously, though, this just proves what we already know: Maisie Williams is an amazing actress. Check it out for yourselves!